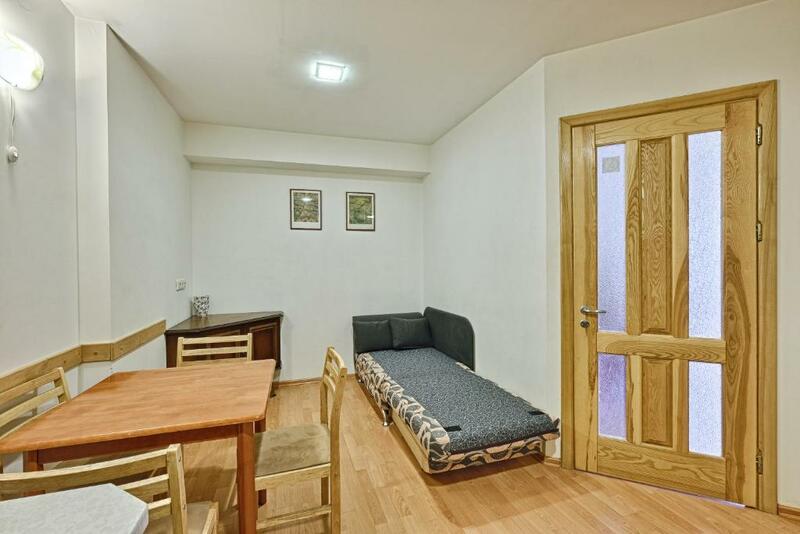 Small, quiet and peaceful apartment. Friendly neighbours. We had everything we needed. Awesome private underground parking and code-locked entrance. For the given price, it is perfect. Perfect accommodation, clean and comfort. Hospitality and friendly owners. One of the best places to stay in Vilnius with friends. Unit in a big apartment complex. Owner was friendly, available on appointed checkin time via phone. Use Google map, and it was easy to locate the property address from the Railway station or the nearby Bus Station. Clean well organized homely apartment. Beds comfortable. Able to sleep well even on the sofa beds. Fully equipped kitchen. Big bathroom. Washing machine a bonus. A big supermarket is only few minutes walk away. We walked to the old city area. Watched live telecast of the Pope's visit to Vilnus at the Cathedral. Could not see him on the ceremony stage, but could tell friends back home that we were so "near to him". The atmosphere of the devoted crowd was estatic. Able to store luggage at a garage room after checkout. We left some food items in the fridge on checkout, and the owner kept them for us when we collect our luggage in the evening. Would definitely stay in this apartment again for our future visit. The apartment mistress is very kind and responsive. Apartment was clean and comfortable. Underground car parking for free. Apartment near the city center - 15 min walking. Fairly new apartment building in nice neighborhood. Everything was good. 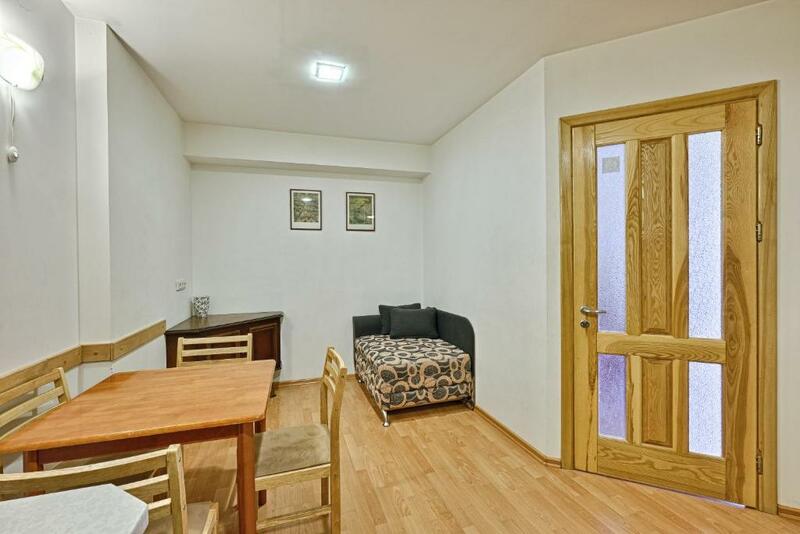 Nice apartment with all you need for stay. Fits for 5 guests. Very responsive owner! Cozy balcony for breakfast and evening relax.. The host was on time and answered messages quickly. No English but there wasn't too much to talk about anyway. 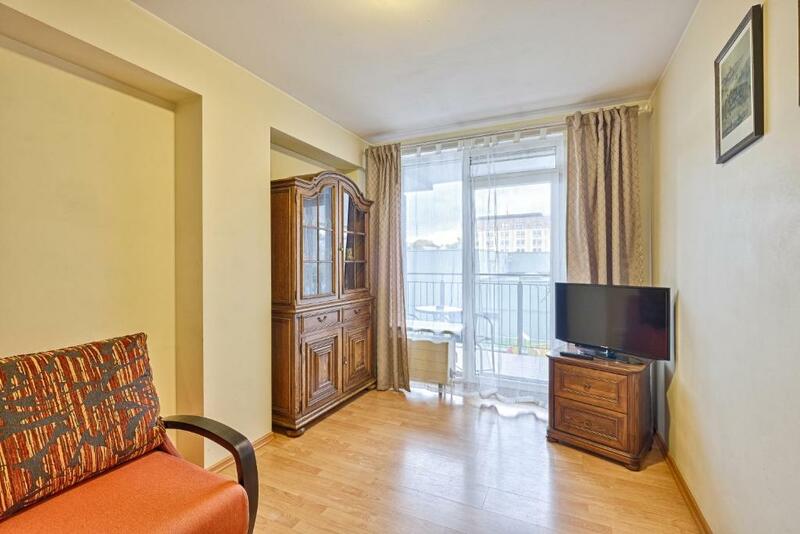 Lock in a great price for Apartment 16 on Mindaugo 23 – rated 9.6 by recent guests! 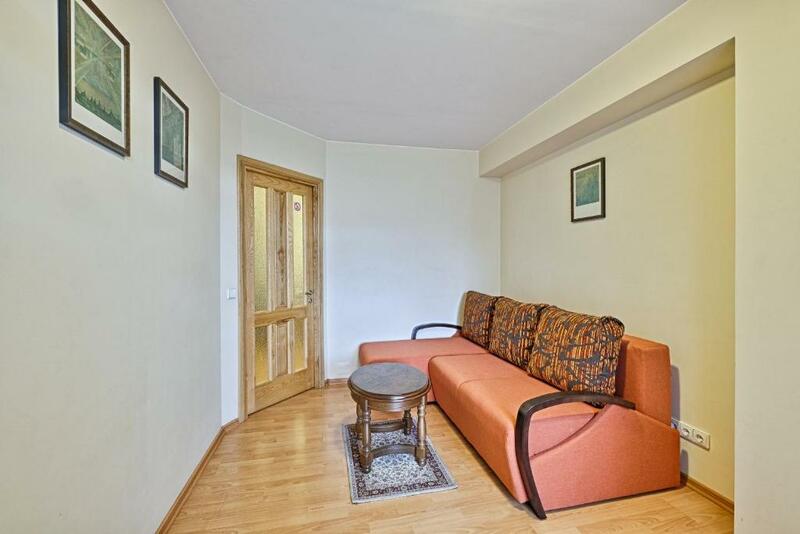 Offering city views, Apartment 16 on Mindaugo 23 is a property located in Vilnius, 1.1 miles from Bastion of the Vilnius Defensive Wall and 1.5 miles from Museum of Occupations and Freedom Fights. 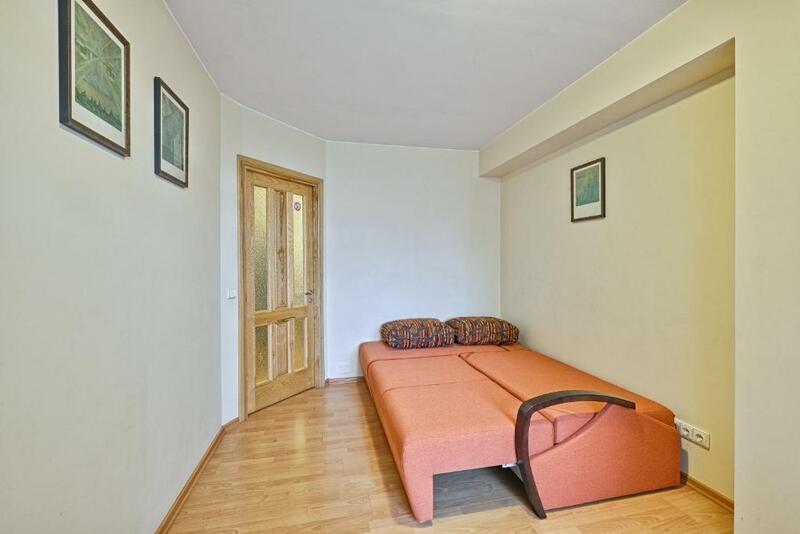 The Lithuanian National Opera and Ballet Theatre is within 1.6 miles of the apartment, and free WiFi is provided. 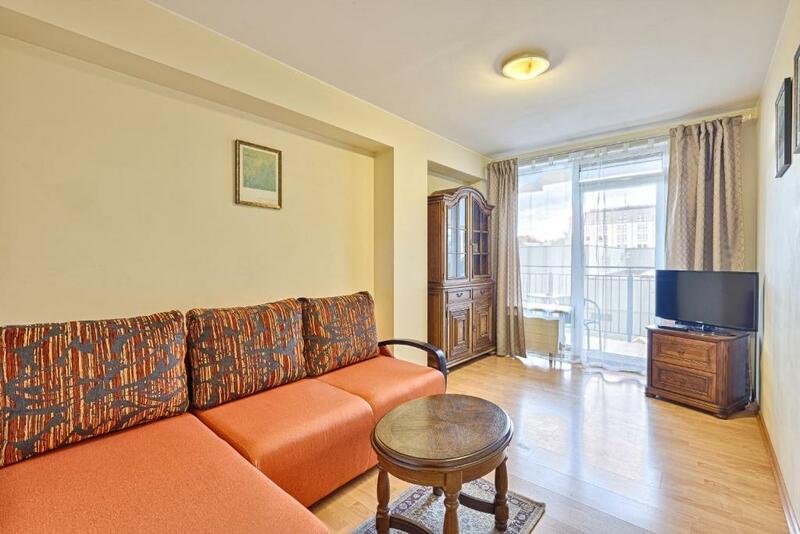 With direct access to a balcony, the apartment consists of 1 bedroom and a fully equipped kitchen. The apartment also offers a seating area and a bathroom. Gediminas' Tower is 1.8 miles from the apartment. 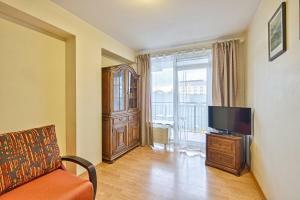 The nearest airport is Vilnius Airport, 2.6 miles from Apartment 16 on Mindaugo 23. 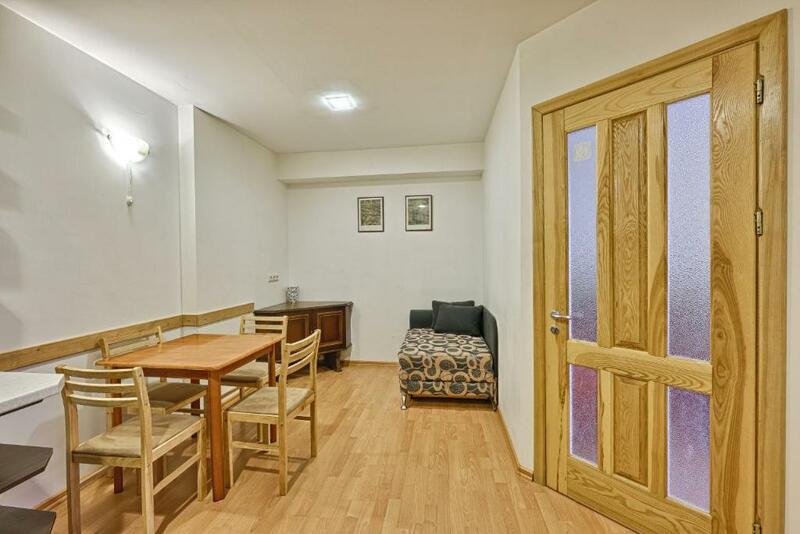 뀐 Located in the top-rated area in Vilnius, this property has an excellent location score of 9.5! 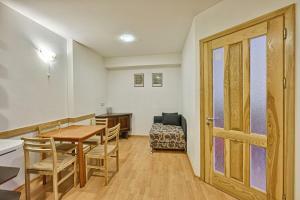 When would you like to stay at Apartment 16 on Mindaugo 23? This apartment has a cable TV, dishwasher and stovetop. Area Info – This neighborhood is a great choice for travelers interested in local food, skyline views and cathedrals – Check location Excellent location – show map Guests loved walking around the neighborhood! House Rules Apartment 16 on Mindaugo 23 takes special requests – add in the next step! Please inform Apartment 16 on Mindaugo 23 of your expected arrival time in advance. You can use the Special Requests box when booking, or contact the property directly using the contact details in your confirmation. Everything! The owner is very friendly. Location is good. There were traces of mold in the shower, bathroom equipment and furniture a bit worn out. Fine enough for the short transit stays. In bathroom water going like waves - hot, cold, hot, cold. But, its just thin things. No washing machine detergent provided. Bought a bottle from the supermarket. We were under the illusion there would be 4 different beds instead of three but it isn't too much of a problem if one knows one's travel companions well. 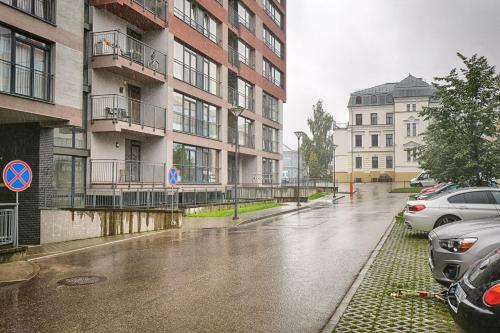 I would recommend anyone this property! Clean in and perfect area . The owner very pleased .